What is the most expensive car in the world? The 1931 Bugatti Royale Kellner Coupe was sold for $8,700,000 in 1987. However, that car and many alike will not be included in this list because it is not available on the market today. It is hard to imagine someone would actually spend 8 million dollars on a car instead of using it for something more productive. However, if you had the money and opportunity, you would probably spend a small fraction of it on a collection of supercars for your private garage. Here are the 10 most expensive street legal production cars on the market (at least 2 available); we will not include concept cars. 1. 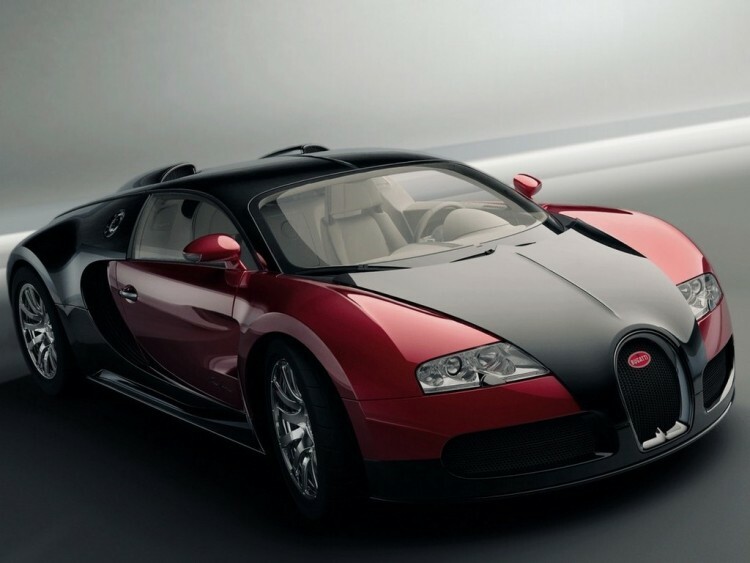 Bugatti Veyron Super Sports $2,400,000. This is by far the most expensive street legal production car available on the market today (the base Veyron costs $1,700,000). It is the fastest accelerating car reaching 0-60 in 2.5 seconds. It is also the fastest street legal car when tested again on July 10, 2010 with the 2010 Super Sport Version reaching a top speed of 267 mph. When competing against the Bugatti Veyron, you better be prepared! There is a tie for #2! 2. Aston Martin One-77 $1,850,000. The name “One-77” says it all: beauty and power in One, limited to 77 units. With 750 hp, it is able to travel from 0 to 60 mph in 3.4 seconds and reaching a maximum speed of 220 mph. 2. Pagani Zonda Clinque Roadster $1,850,000. One of the most exotic cars out there is also one of the most expensive. It can go from 0-60 in 3.4 seconds with a top speed of 217 mph. 4. Maybach Landaulet $1,380,000. The Landaulet is the most expensive sedan on the market and it can reach from 0-60 in 5.2 seconds. Probably the most luxurious car ever made with a convertible roof that can open fully at the rear. This car is made especially for those CEOs and Executives who have their own personal driver. 5. Zenvo ST1 $1,225,000. Able t o reach 60 mph in 2.9 seconds and a top speed of 233 mph. The Zenvo ST1 is from a new Danish supercar company that will compete to be the best in speed and style. The ST1 is limited to 15 units and the company even promised “flying doctors” to keep your car running. 6. Hennessey Venom GT $1,100,000. What makes the 2013 Hennessey Venom GT Spyder is its price tag, a compelling 1.1 million dollars. Quite frankly, there is no convertible in the world today that can match this car. Not to mention that it goes from 0-60 mph in 2.5 seconds. 7. McLaren F1 $970,000. In 1994, the McLaren F1 was the fastest and most expensive car. Even though it was built more than 15 years ago, it has an unbelievable top speed of 240 mph and reaching 60 mph in 3.2 seconds. Even today, the McLaren F1 is still top on the list and outperforms many other supercars. 8. Ferrari Enzo $670,000. The most popular supercar ever built. The Enzo has a top speed of 217 mph and reaching 60 mph in 3.4 seconds. Only 400 units were produced and it is currently being sold for over $1,000,000 at auctions. 9. Pagani Zonda C12 F $667,321. Produced by a small independent company in Italy, the Pagani Zonda C12 F is the 8th most expensive car in the world. It promises to delivery a top speed of 215 mph+ and it can reach 0-60 in 3.5 seconds. 10. SSC Ultimate Aero $654,400. Don’t let the price tag fool you, this American made car is actually the 3rd fastest street legal car in the world with a top speed of 257 mph+ and reaching 0-60 in 2.7 seconds. This baby cost less than half as much as the Bugatti Veyron, yet has enough power to compete against the most expensive car. It is estimated that only 25 of this exact model will ever be produced. via Most Expensive Cars In The World: Top 10 List 2012-2013.